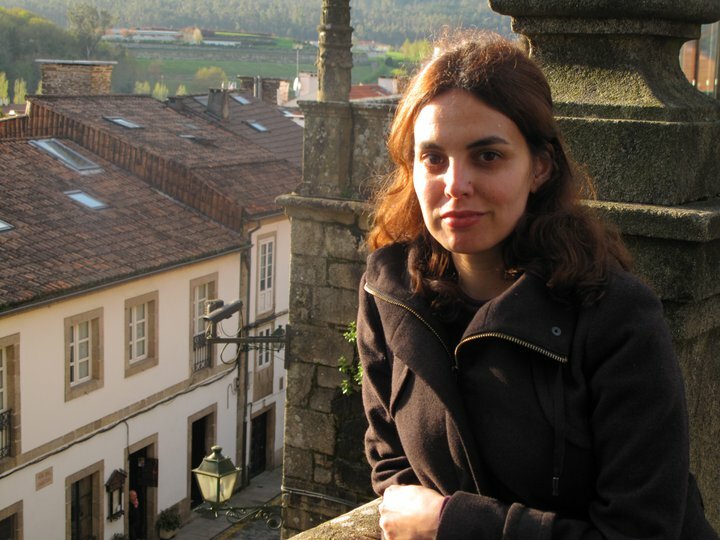 Ana Almeida, University Teacher in Portuguese, has published two new articles on the the poetry of Galician writer Lupe Gómez. The first is entitled ‘Atentado ao culturalismo: aproximación crítica à obra de Lupe Gómez’ (‘Defying “culturalismo”: an approach to Lupe Gómez’s work’). The article centres on Gómez’s relationship with the Galician literary canon, and was co-authored with Dr Burghard Baltrusch. Ana’s second article, ‘As vacas e os elefantes na obra poética de Lupe Gómez: a construção do eu perante o outro absoluto‘ (‘Cows and elephants in the poetic work of Lupe Gómez: writing the self in face of the absolute other’), explores the figure of the animal in her work, and the ways in which it contributes towards the construction of poetic autobiography. The articles appear in a recently published book entitled Lupe Gómez: libre e estranxeira (edited by Burghard Baltrusch). The volume combines most of the studies on Gómez’s work to date, along with an interview with the author, a glossary, and translations of her poetry. The publication is a collaboration of the Grupo de Análise e Estudo da Literatura e de Tradutoloxía (GAELT), a research group based at the University of Vigo, in which Ana is an investigator. 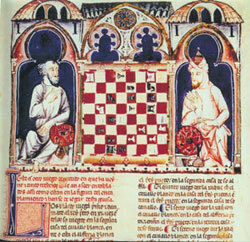 A study by Dr Şizen Yiacoup, Lecturer in Medieval & Early Modern Spanish Studies, entitled ‘Games of Love & War in the Castilian Frontier Ballads: El romance del juego de ajedrez and El romance de la conquista de Antequera’, has recently been published as a chapter of the volume Medieval Hispanic Studies in Honour of Alan Deyermond (Tamesis, 2013). Dr Yiacoup’s analysis explores the use of the game as a poetic motif and the way in which it creates an atmosphere of tension relating to a shift of fortune, serving as a visible, condensed, localized expression of the emotional conquest involved in courtship. More specifically, her study focuses on two medieval frontier ballads, El romance del juego de ajedrez and La conquista de Antequera, and the ways in which these poems employ games – those of chess and of jousting respectively – not only as a means of denoting emotional and military conquest but also as an enduringly evocative means of highlighting the unique cultural identity shared by Castilians and Granadans on the medieval frontier. 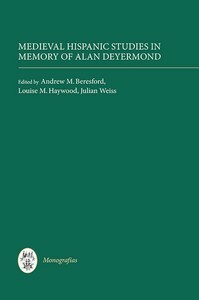 The book Medieval Hispanic Studies in Honour of Alan Deyermond has recently been published by Tamesis. Professor Alan Deyermond was one of the leading British Hispanists of the last fifty years, whose work had a formative influence on medieval Hispanic studies around the world. 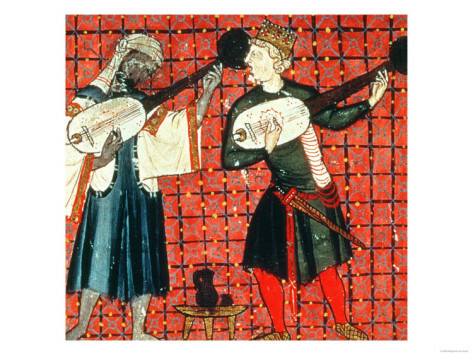 As well as Dr Yiacoup’s essay on frontier balladry, the book includes studies on his wide range of research interests, ranging chronologically from the thirteenth to the sixteenth century, covering subjects such as clerical verse narrative, historical and codicological studies and hagiography. Congratulations to Liverpool students John McInally and Adam Porter who have both won DAAD Summer School scholarships! They will both spend a month studying intensive courses in language and culture in Germany. 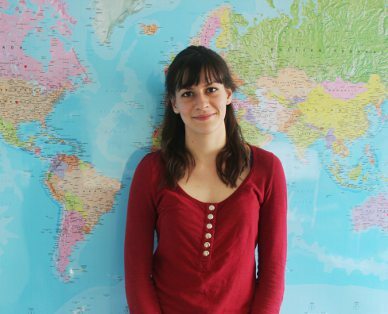 Every summer, a number of German universities offer a broad range of three- to four-week language courses which cover several aspects of contemporary German Studies, from its literature and culture, to its politics and economics. Students are similarly encouraged to take part in the several extra-curricular activities which run alongside these courses. For a grant in 2014, students may start applying in October 2013. If you are interested, please contact Miri Stoll msstoll@liv.ac.uk to make an appointment for a short interview and to discuss the application procedure. The grant awarded is €850 and is intended as a contribution to the course fees and living expenses for a three- to four-week summer course. Dr Marco Paoli (Italian Studies and Film) has recently published an article entitled “Modernità liquida, lavoro e identità in Baci e Abrracci di Paolo Virzì”. 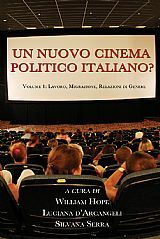 It appears in the book Un Nuovo Cinema Politico Italiano? (An New Italian Political Cinema?) 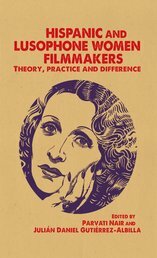 published by Troubador Press, an edited collection which approaches contemporary Italian cinema from a social and political perspective. The book is the fruit of a recent AHRC-funded project on the same theme. In particular, Marco Paoli’s essay focusses on the film Baci e abbracci (Kisses and Hugs), directed by Paolo Virzi in 1999. Several of Virzì’s films depict the difficult career prospects of Italians in a politico-industrial context where job security has been eroded, and Baci e abbracci relates the attempts of a group of ex-steelworkers to start a new business by opening an ostrich farm. Dr Paoli’s article examines Virzì’s depiction of the political and socio-economic problems faced by the aspiring entrepreneurs in Baci e abbracci, and the contrasting (and often contradictory) attitudinal perspectives traceable in the different social classes of Italian represented in the film. While the film manifestly depicts the unbalanced relationship – in terms of power and influence – between social classes in its examination of the notions of authority (through characters such as the regional councillor) and submission (in terms of the three entrepreneurs who are socially more vulnerable), there is a degree of ambivalence in the attitudes of the ‘working class heroes’ with whom the film’s viewers are closely aligned. The article shows the extent to which Virzì appears to emphasize the aspirations of these characters to attain some degree of power in order to be placed in a position of superiority, and dicusses the implications of this view of the proletarian psyche. In terms of genre and regional culture, the political implications of Virzì’s depiction of society through the filter of comedy and the concept of livornesità (the film is set in the Livorno region of Tuscany) are also considered. The essay also focuses on the contrast between reality and the individual’s search for illusionary happiness. University of Liverpool film specialist Dr Tom Whittaker has published three articles in recently edited books on Spanish and Latin American cinema. His article ‘La noche de los girasoles (Night of the Sunflowers): Palimpsests of Genre, Palimpsests of Violence’ appears in a new volume on Spanish film, entitled Spanish Cinema 1973-2010: Auteurism, Politics, Landscape and Memory, edited by María Delgado and Robin Fiddian (Manchester University Press, 2013). The chapter unpicks the complex relationship between landscape, genre and trauma in the recent film La noche de los girasoles, a noirish thriller set in a depopulated village of Castile. A second book chapter explores the political role of pathos and affect in Gary Cooper, que estás en los cielos, a key film in Spain’s Transition to democracy, through exploring the importance of sound, silence and the voice. Entitled ‘The poltics of pathos in Pilar Miró’s Gary Cooper, que estás en los cielos (Gary Cooper, Who Art in Heaven)’, the article appears in Hispanic and Lusophone Women Filmmakers: Theory, Practice and Difference, edited by Parvati Nair and Julián Daniel Gutiérrez-Albilla (Manchester University Press, 2013). A further article has been published in the book A Companion to Luis Buñuel,(Wiley-Blackwell), co-edited by Rob Stone and Julián Daniel Gutiérrez-Albilla. Entitled ‘Errant movement and rhythm in Buñuel’s Mexican comedies’, the chapter explores the ways in which characters and objects in El gran calavera (The Great Madcap), Subida al cielo (Ascent to Heaven) and La ilusion viaja en tranvía (Illusion Travels by Streetcar) frequently find themselves out of place and synch with the social worlds they inhabit. Through examining the orchestration of movement and rhythm in the films, the chapter shows how Luis Buñuel’s Mexican comedies throw light on the social and geographical contradictions of a country caught in the grip of modernization in the 1950s. The publication of the books will be celebrated at an official launch party at the Cornerhouse, Manchester, Friday 17 May, 6pm-8.30pm. The School of Languages, Cultures and Area Studies will be holding a research seminar today at 4pm, Cypress Building, as part of its Histories and Memories research cluster. 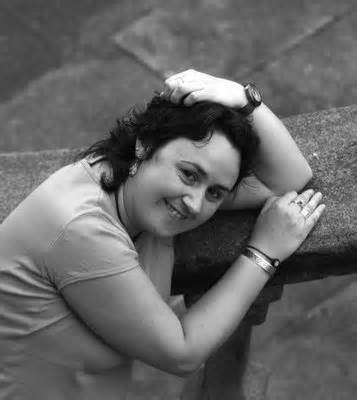 Dr Lisa Shaw, Reader in Brazilian Cultural Studies at the University of Liverpool, has recently co-edited a book with Professor Rob Stone (University of Birmingham) on the use of songs in films from Spanish- and Portuguese-speaking worlds. 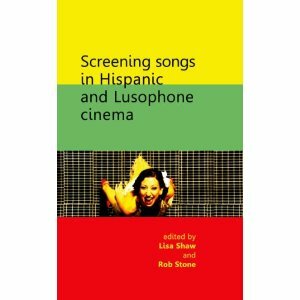 Entitled Screening Songs in Hispanic and Lusophone Cinema, the volume is published by Manchester University Press. The volume illustrates how – rather than simply helping to tell the story of – songs in Hispanic and Lusophone cinema commonly upset the hierarchy of the visual over the aural, thereby rendering their hearing a complex and rich subject for analysis. Screening Songs in Hispanic and Lusophone Cinema comprises essays on soundtracks of films as varied as City of God, All About My Mother, Bad Education and Buena Vista Social Club, which are analysed alongside those of lesser-known works that range from the melodramas of Mexican cinema’s golden age to Brazilian and Portuguese musical comedies from the 1940s and 1950s. Fiction films are studied alongside documentaries, the work of established directors like Pedro Almodovar, Carlos Saura and Nelson Pereira dos Santos alongside that of emerging filmmakers, and performances by iconic stars like Caetano Veloso and Chavela Vargas alongside the songs of Spanish Gypsy groups, Mexican folk songs and contemporary Brazilian rap. The publication of the book will be officially celebrated at a forthcoming book launch at the Cornerstone, Manchester, Friday 17 May, 6pm-8.30pm. In the name of establishing links with other institutions in the North West and to exchange knowledge about the study of languages and cultures, Cultures, Languages and Area Studies at Liverpool has recently been involved with a number of outreach activities with local schools. In Week 8 of Semester 2, we welcomed a group of pupils from Birkenhead Sixth Form College to the French department for an intensive day of French language learning and cultural study. As well as taster sessions in language and grammar and a Café Français session, the pupils were given the opportunity to explore the university campus, with tours of both the Sydney Jones Library and the Guild, giving them a real taste of university life as they begin to make important decisions about their futures. A week earlier, we had some visitors who were much further off making decisions about university – a group of Year 8 pupils from Ormiston Bolingbroke Academy. They came along for a Spanish language afternoon led by native speaker Elma Barreiro Abad, all taught in the target language to really push the pupils’ learning skills and knowledge. The class came along as part of a larger Spanish Day organised by their school which included a tasty visit to La Tasca for tapas! We had a lovely note of thanks from the teachers, who were eager to show the pupils the benefits of language learning. Following this successful pilot, we hope to run similar sessions with multiple schools in the future. Dr Chris Harris was also invited along to a Careers Fair at Neston High School in March, again pushing the message that the study of languages and cultures offers a gateway to many different employment opportunities and life experiences and helping us to demonstrate what we do in CLAS to the wider community. Many thanks to all the staff and students along who helped to organise, coordinate and run these events, making 2012-13 such a successful year for outreach. Going forward, we have plans for some exciting events, including involvement in the HLC Summer Academy this July. We’d love to hear from anyone who has any ideas, questions or requests with regard to schools and outreach. Please contact l.e.b.key@liv.ac.uk.